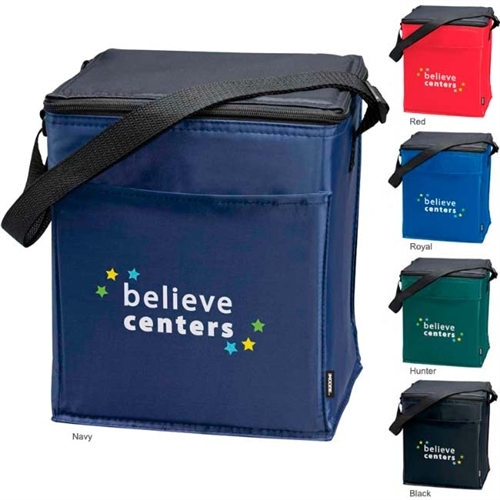 Custom Scout KOOZIE® 12-Pack Kooler is made from 70-Denier nylon. 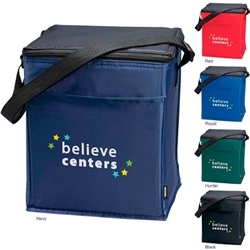 Customizable 12-Pack Kooler comes with 1/4" foam insulation. Adjustable shoulder strap extends to 40"
Custom Scout KOOZIE® 12-Pack Kooler is available in 5 colors: Black, Hunter Green, Navy, Red, and Royal.